Many people think working in an agile manner means doing little or no planning. Agile projects actually require as much planning as any other project—it’s just all about trying to minimize wasted effort. While this is simpler in a very small project with a close-knit, highly effective team, for larger projects, it becomes problematic. What about if you have multiple teams working on a project, as is often the case? This is where we use the big room planning technique. It sounds simple but is rather complex to facilitate and manage. 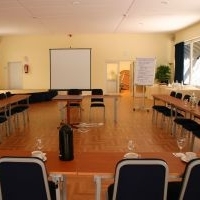 The principle is to have all of the planning take place in a single, large room. The aim of the release and the various functionalities is explained to each team at the same time, so everybody can discuss their teams' needs, identify conflicts or dependencies, and discover how each team may affect other teams based on their approach and responsibilities. Once the entire group understands the objectives of this release, the group breaks out into separate teams to plan the features and stories they will be working on. When they have completed this initial planning stage, the entire group comes together and each team explains their plan to everybody else. The other teams have the opportunity to ask questions, identify issues, and otherwise ensure a single vision in moving the plan forward. When issues are identified, each team once again meets and determines how best to mitigate any problems or dependencies. This frequently requires two or more teams to work together to develop a cohesive approach to the release. Once more the entire group convenes, and the refined plans are shared with everybody. Should there be no further issues identified, these individual team plans become the project release plan. During the iteration planning cycle, it is useful for teams to reconvene in the big room planning setting to briefly share their iteration plans with each other, again to ensure that issues and dependencies are identified and plans to mitigate these issues are developed between teams. I call this “the bake sale,” as typically the iteration plans are displayed on the wall or on tables so each team can see—and suggest improvements to—the other teams’ plans. Similarly, during the daily stand-up, I find it useful to the development effort to have team members travel to other teams occasionally so the link between these teams is maintained. This is especially useful if an item is discovered during a stand-up that may delay or affect another team. The person who discovered this issue should attend the other team’s stand-up and explain the issue. The affected team then has the opportunity to take action to mitigate the issue. With sufficient planning, you can scale agile to large programs with several teams and multiple projects or work streams. While Paul is an expert in agile and lean development methods and their effects on organizational structures, his true focus is delivering high-value software to solve pressing business issues, or to take advantage of the current market. This has enabled him to lead organizations in adopting new approaches to software development, without losing sight of the real reason and need for such an adoption – that the methods currently being used are no longer working, and a more effective set of principles and practices are vital to the long-term viability of the business. He leads engagements in forming and training software development teams, working with executives to make them understand their move to a more adaptive leadership model, and enabling geographically-distributed organizations to strengthen their collaboration and delivery capabilities.